ScotBuzz was launched on 13 April 2017 by Bandey with a dream to provide every Answer related to Social, historical, Education, and religious. The main goal of starting this blog is to build an active community of student so that they can read every aspect of educational in a better way. Hello Guys, this is me – Bandey. 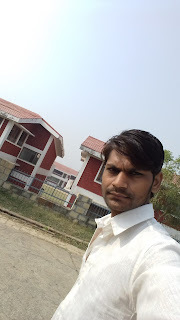 I’m a Social worker (Master of Social Work, Passout 2014 form MGCGVV University ) passionate blogger from Chitrakoot, India. I’m always eager to read new question in educational arena and to fulfill. I spent pretty good hours with my books. This results in the quality growth of ScotBuzz and My blog as well. Very very useful for students because it^s very easy and understandable..